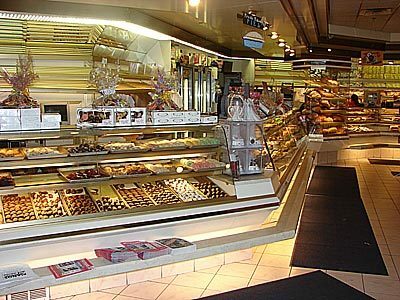 Deising's is an award winning retail and wholesale bakery offering over 400 varieties of freshly baked bread, pastries, cakes, rolls, pies, cookies, desserts, and more. 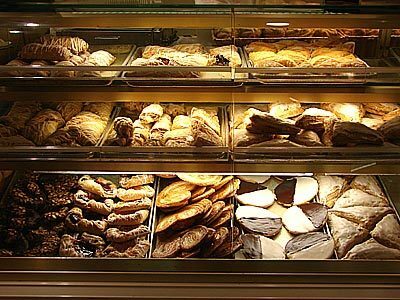 We use only the finest and freshest ingredients in all of our baked goods. Our butter cookies and buttercream, for instance, are made with 100% real butter. Oddly that's not something you can take for granted! Our whipped cream is made fresh daily. 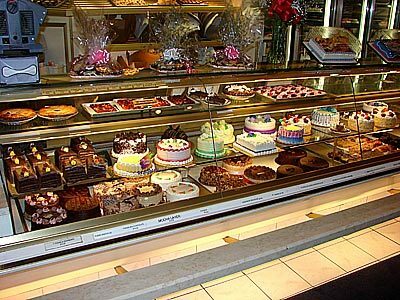 When ordering your cake ask one of our friendly bakery staff to try a sample of our icing. 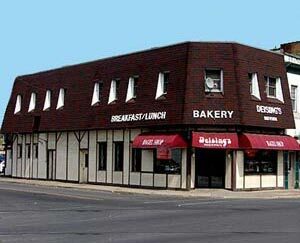 If you love old world bakeries as we do, step inside Deising's to feel like you've gone onto a better place! 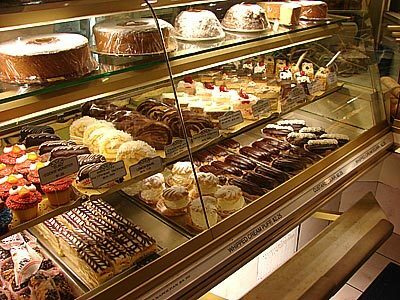 The aroma of fresh baked breads and desserts is positively intoxicating. 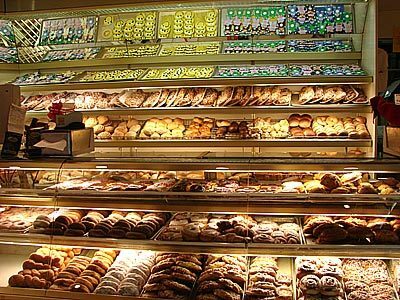 Plan to spend some time viewing showcase after showcase of the finest baked goods in the Hudson Valley. We can customize cakes for any occasion, even reproducing your favorite photo on a cake or cookie, or decorating to a specific theme. You can view a sample of our wedding cakes on this site or in our Facebook Photo Album, but we also have a wedding cake album available at our Uptown Kingston location. 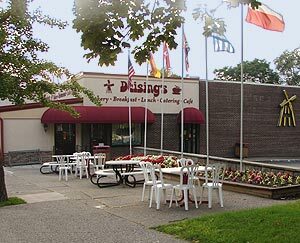 Deisings is also a top wholesale bakery in the Hudson Valley and Ulster County, supplying many fine delis, restaurants, and caterers with breads, rolls, cakes, desserts, and other bakery products. 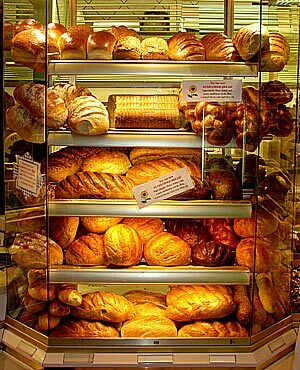 We bake fresh bread daily, but not all breads are available every day. Please call or visit for today’s selections. 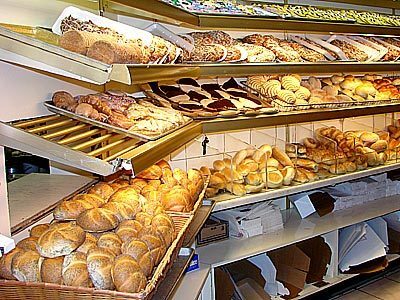 White Bread An American classic, ours is made the old fashioned way using basic ingredients,, not massed produced in a liquid dough. This bread has a softer crust than our European style breads with a white soft texture inside. Great for any sandwich. Old Fashioned Sicilian A hearty white bread great for sandwiches but equally at home with a bowl of soup or your favorite spread. Rye This recipe came straight from Germany. Dad’s traditional recipe available daily with or without caraway seeds. Pumpernickel A rich, flavorful bread that can be ordered with or without raisins. Makes a great spinach “Dip Bowl” too! Marble Rye A combination of our rye and plain Pumpernickel. The best of both worlds! Onion Rye Rye bread with Onions, Great tasting! Cracked Wheat The best wheat bread you have ever tasted. A healthy choice of natural wheat grains. English Muffin Bread We serve this bread with breakfast, best toasted! Available daily. Six Grain Bread A wholesome, flavorful blend of barley, oats, milled corn rye and wheat. Cinnamon Bread A sweet bread with cinnamon swirled into the dough. Served in our Restaurant only at breakfast, available daily! Tuscan Italian Made with sour starter, this soft, tangy bread features a golden crispy crust. Vienna Italian Northern Italy gives this classic white bread a hearty, old world flavor. Great for sandwiches, toast or just butter. French Bread Chewy center, crispy crust. Our biggest seller! Not served in our Restaurant. Semolina Bread A chewy center with a crispy sesame seed crust. Challah Braided egg bread traditionally used in Jewish celebrations. Enjoy it as French Toast in our restaurant. 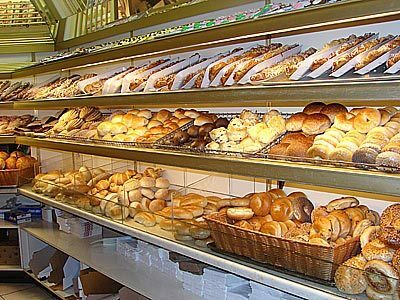 Deising's also has one of the largest selections of rolls, bagels, and stone hearth breads in the Hudson Valley for your breakfast or lunch, to eat in or take home: Hard rolls (Kaiser), 10 varieties of bagels, Italian rolls, croissants, onion and club.